Home · Article · How do you shepherd a dying and divided church? In his 13 years as senior pastor of Auburndale Baptist Church in Louisville, Brian Croft has seen it all. He has experienced profound lows in the ministry but has sought to remain faithful and has also seen God bring the church from death to life. 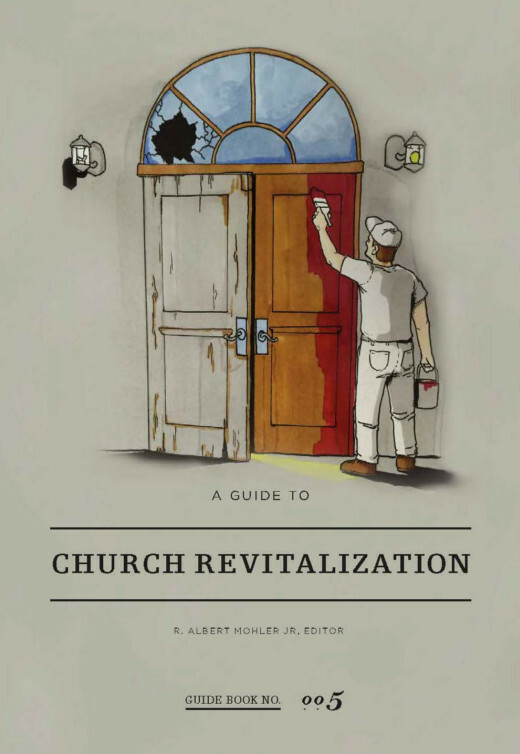 He chronicles that incredible tribute to God’s grace in a new book Biblical Church Revitalization: Solutions for Dying & Divided Churches (Christian Focus). He founded Practical Shepherding and serves as senior fellow for the Mathena Center for Church Revitalization at SBTS. In this interview, we discuss the book and lessons learned from many years in pastoral ministry. In the new book, you tell the story of Auburndale and relate many wise lessons learned during your time at Auburndale BC. When most guys enter pastoral ministry, not too many of them think of their church as dying, divided or declining. When and how did you know you were in a revitalization situation? I took a church with 30 elderly folks, no money, and an old, but beautiful building falling down around us. The church had been in decline for over 30 years and no pastor since 1972 had stayed longer than four years. The community around us despised the church. It was pretty obvious it was in trouble and on its last leg. When you are in a revitalizing situation, how do you communicate that to the people in under your care? Do you ever use that language with them or speak publicly of the need to get healthy as a church? Churches need to know they are broken and dying before real, important change can take place. Many churches do not know how bad the situation has gotten. It is a mistake for a new pastor to just come in and tell them this, although it might be true. A pastor should first come in, love them where they are, earn their trust, then break the news to them of their current state. What’s the one piece of advice you would give to a student with a newly-minted degree from SBTS who is about to take his first pastorate? I would first remind them that “newly-minted degree” showed they were well trained theologically, but it did not make them a pastor. Their instincts should now be to preach faithfully and sacrificially love and shepherd their people the first few years. Don’t go if you are not willing to stay at that church five years. What’s the worst mistake you’ve ever made as a pastor and what did you learn from it? That’s hard to say. Many to choose from. I would say there were numerous occasions where I dismissed words of counsel from elderly members early in my ministry who proved to be right years later. I missed good opportunities to grow as a young pastor if I would have listened to them. A close second is putting people in leadership positions before they are ready. Better than most I’ve ever heard, your story demonstrates the difficulty and danger of pastoral ministry. Do you think most men really think it’s going to be tough when they are entering their first pastorate? No. I think young pastors are way too idealistic about what being a pastor will be like. I partially blame the celebrity pastor culture combined with a lack of local churches taking responsibly to expose young men to the dirty, messy daily grind that is real pastoral ministry. How can a man go to a church and stay 10, 20, 30 years? Is that even possible or advisable in today’s here-today-gone-tomorrow church culture? Not only do I think it is possible, but those willing to do it in this type of culture you describe will show to be noble examples of faithfulness that will be rare in decades to come. I believe those willing to plant and stay will bear fruit in ways others who leave every three or four years in a church will not experience. Lasting change in a church will not come inside 5 to 10 years. You oversee the Mathena Center for Church Revitalization at SBTS. What is the main purpose of the Mathena Center and how are you integrating your own work at Practical Shepherding into that? It is the kind providence of God that SBTS asked me to play this role because it feeds so well from both my pastoral ministry in my local church as well as Practical Shepherding. The Mathena Center exists to help struggling and dying churches find new life and to train young men who are willing to go into these churches and engage in this hard, but noble work. The resources of Practical Shepherding are largely used to help train these men for this work of shepherding these wounded sheep in these churches and to minister God’s Word in such a way that the Spirit breathes life back into them.